A native of the backwoods of Kentucky, Jason heard the gospel at a youth church camp and accepted Jesus Christ just before entering high school. Raised in a loving and moral home, he grew up with a cultural understanding of Christianity, However, he did not deeply experience Jesus as Savior until getting involved with Cru his junior year at the University of Louisville. While completing his studies in graphic design and visual arts, Jason felt the Lord’s call to missions. He graduated in 2000 and moved to La Plata, Argentina, to minister to college students. It was in Argentina that Jason met his wife, Katie, who was providentially assigned to the same ministry team. After almost three years of college ministry together, they moved to Northern Virginia, where Katie had grown up. After dating stateside for almost a year, they were married in October 2003. 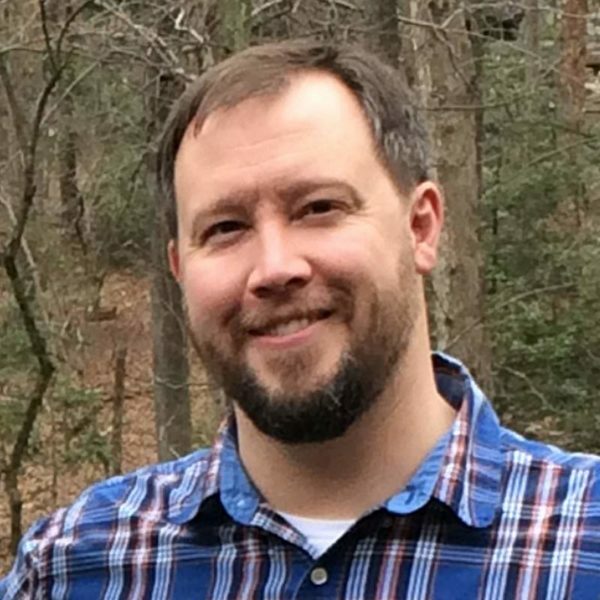 Jason joined the staff of Reston Bible Church in February 2003 and currently serves as a pastor and Director of Communications. He has a deep love for the local church, the Word of God, a good book and being outside. When he has spare time, he enjoys painting huge canvases, cooking tasty meals, working on his house and drawing with his kids. He and Katie live in Sterling with their three young children, Caleb, Elizabeth, and Sam.